If you are currently unemployed and registered with the Job Centre Plus, it is possible to apply for funding from the DWP for training courses that enhance your employment prospects. They allocate funding through the Jobcentre work coach’s. To apply you need to approach your Jobcentre work coach, tell them what training you would like to do and they can put an application for funding forward to the DWP on your behalf. Several recent delegates have had their NEBOSH National General Certificate courses funded in this way. We are a Professional and Career Development Loans registered Learning Provider, registration number 20174. A Professional and Career Development Loan is a commercial bank loan that you can use to help pay for work-related learning. Please be aware that The Professional and Career Development Loan scheme is now closed for new applications. 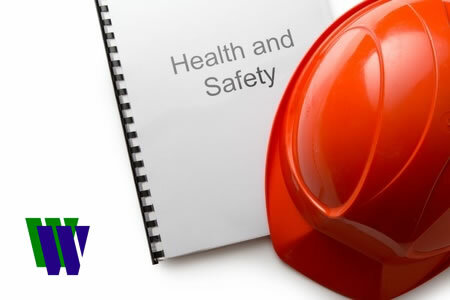 The Construction Industry Training Board (CITB) has funding available for the National Certificate in Construction Health and Safety (NCC). The CITB’s short-period qualification grant covers only the NCC. This grant is available for companies in construction that are registered with the CITB, so check if your employer is CITB registered. Your company can then apply for the grant. The short-period qualification grant has its own rules. You can claim £600 for the NCC. You claim through your CITB Approved Training Organisation (ATO), supplying them with the relevant details of the person taking the qualification. When the NCC is completed, the provider will update the Construction Training Register and you should automatically receive the grant payment within 28 days. For people resident in Wales who have been made redundant or under notice of redundancy in the last 3 months can claim up to £1500 of funding for training. To apply for the ReAct vocational training grant. MoD Service Leavers undergoing their Resettlement Phase can access funding from the MoD to attend courses with Woodward SHE Ltd. Please go to the following webpage for more details and click on the “ELC Funded Training” tab for details of our Resettlement and ELC Funded Training Package Scheme.